The new episode, titled "Pragmatic Priorities," is available to listen to starting today on iTunes and through the Podcasts app on iOS devices. Kremenek is Apple's senior manager of languages and runtimes, and he is overseeing the release of Swift 5 and is Apple's voice on the project. Swift 5's major focus is long-awaited ABI stability (Application Binary Interfaces), and Kremenek goes into detail on how ABI stability was ultimately implemented and what changes needed to be made for Swift to become ABI stable. FYI, the Highest-Perf apps in the iOS App Store are (still) written in an mix of Objective-C & "C". Well swift makes it easy to rewrite Obj-C code piecemeal... I would not sit on decade old code... I would always learn form it and invest in modern code. Code is not like milk. It doesn't go bad after a certain amount of time. IMHO, Swift is a colossal mistake. They should have continued improving Objective-C instead of indulging in what amounts to a compiler programmer's pet project. That statement shows you know very little (nothing) about software development. 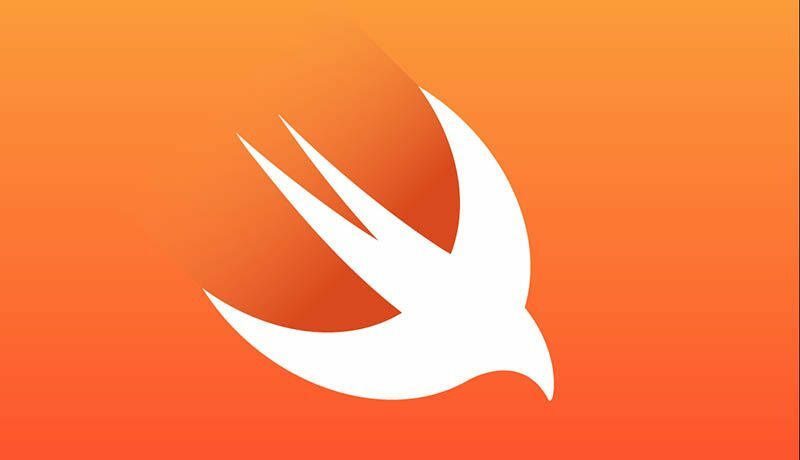 Swift reduces the time to create an app by nearly half, and reduces the complexity of the code. Swift code also runs faster than objective-c code, especially in math intensive functions. It also takes advantage of memory management functionality that is absent in Objective-C. There is no way to "improve" Objective-C to make it equivalent to what Swift is today. What is the point of say this? Imply that swift is not for fast apps? For that, is necessary that Swift have a better support for non-Apple platforms. If I need to have something across many platforms is necessary to use a low-level lang like C/C++/Rust or a runtime like Java/.NET or similar. IMHO, Swift is a colossal mistake. The colossal mistake is C/C++. Both of them are massive bugs-friendly, security-impossible piece of languages that are behind almost all the problems of crashes, weird bugs and security problems for decades now. Costing billons not only in damages but in the amount of time and effort required to workaround them. The problem is that all the OS today are on top of the "C ABI" ie: Eventually you need to lower your hopes to whatever C can do, not matter how problematic. However, is possible to reduce the surface area and use a better language, like Rust or Swift for most of the tasks and only lower to C for compatibility or to access the vast ecosystem around it. Swift, like Rust and others, are far from a mistake. Is what is necessary to move the industry forward. Stay forever with C/C++ is like stay with Cobol, but worse. Well, both of those have many, many years head start on Swift. Not surprising. I'd like to see stats another five years from now. And perhaps a breakdown of apps that are older than 2014 vs new ones since. That's not it. Swift has 40 years of OOA/OOD, Structural and Functional programming research behind it. They should have enhanced ObjC to go to 3.0, then 4.0 and dropped this idea from the start. I have no problem conceding that Swift has *plenty* of nice attributes, but my biggest gripe with it is that it's a constantly changing target [so, re-opening a project from a year ago results in a bunch of compiler errors because they keep changing things] and, worse, it represents a total impedance mismatch with the Cocoa frameworks. I think most Swift developers accepted that this will be the painful reality for the beginning years of Swift until it is mature enough to be more stable. Migration between Swift versions has become easier and easier in each major version of Swift. I agree with the overall idea, but I think in practique will not fly with too many developers. Think how much resistance was for python 3, and that is for minor changes. If a "evolutionary approach" is applied to a language that requiere so many changes, you will end with "obj-c++" and will so different that for all practical purposes is another language. Then you start thinking in syntax changes (like remove C-style loops for the more sane "for x in y" idioms) and many other stuff and now is more problematic. Or maybe, do it more slowly and piece meal? Probably with a VERY good source translator than rewrite the code to the new idioms, but then you multiple the times of code review. And still need a very good grasp in where you go so the changes are planed. I'm unaware something like this have been done sucesfully. Fair observations. I won't pretend to have a master plan of how it could have been done, but in general terms, I think incremental improvements, as they were already doing before Swift, could have moved us closer to the goalpost. And, eventually, dropping compatibility with C/C++ down the road. In fact, there are a few most well known App out there actually did the opposite, went from Swift to ObjC because all these reasons.